RTÉ is to host an international conference on mobile journalism, in association with event partner Vodafone. The RTÉ International Mobile Journalism Conference will be the first such conference dedicated to mobile journalism, film making, photography and storytelling. The event will take place in the National Convention Centre on March 27th and 28th 2015. RTÉ today announced a special group discount, exclusive to students, which will offer a 50% discount on a two day combi-ticket (some T&Cs apply). 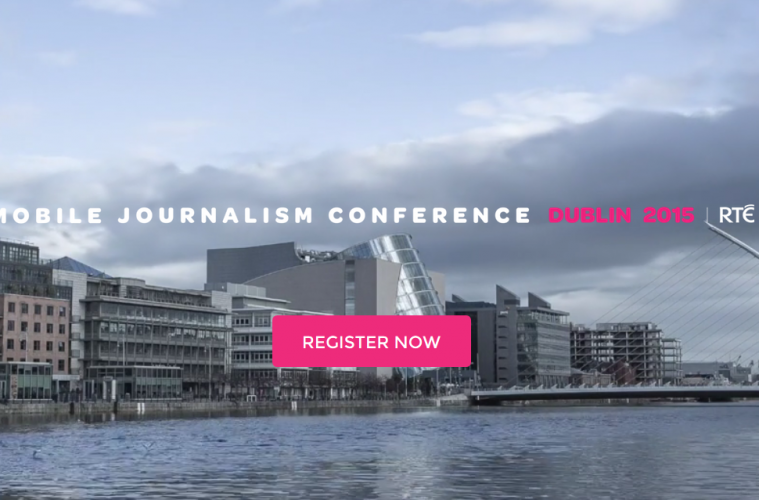 RTÉ MojoCon Ireland is aimed at journalists from print, radio, online and tv, as well as PR professionals and media and journalism students. However the conference will also appeal to mobile photography enthusiasts, media executives, and any member of the public with an interest in mobile and social. In order to qualify for the discount the group must be of 10+ students who are currently enrolled in an academic course in a recognised third-level educational institution. Students will be required to show their student ID at a special registration desk at the conference when receiving their registration badges. Tickets are limited to a maximum of 100 in total and will be allocated first-come, first-served. In addition to the 50% discount, RTÉ will offer a free ticket for a lecturer/professor to accompany the students, if the group is 20 or greater. Access to the exhibition featuring 26 Mojo App, Hardware and Accessory manufacturers who will be offering exclusive, delegate only discounts on the day. A choice of two (half day) training courses on Day 2 in the RTÉ studios.